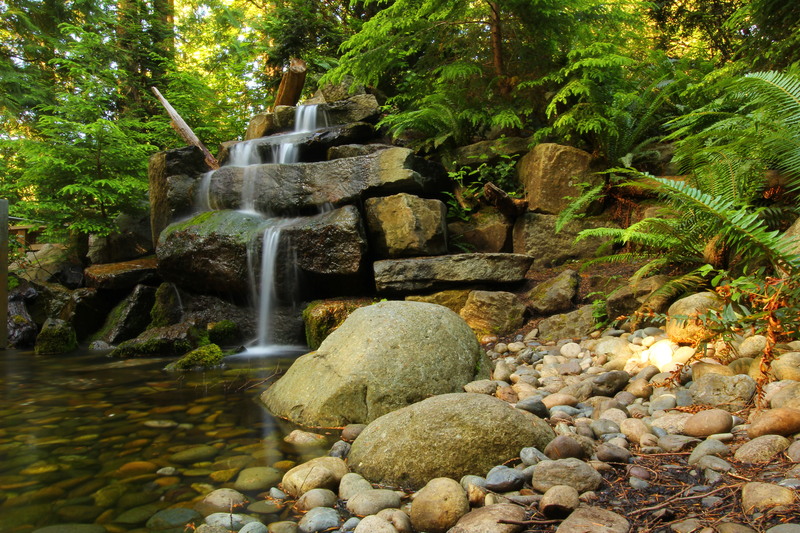 There is so much to see and do in Vancouver, British Columbia! For our first day trip, we stuck to places north of downtown that are reachable by public transportation or a personal vehicle since we had our car. Even with a whole Saturday at our disposal, we were only able to accomplish a couple of stops in order to really do them full justice. 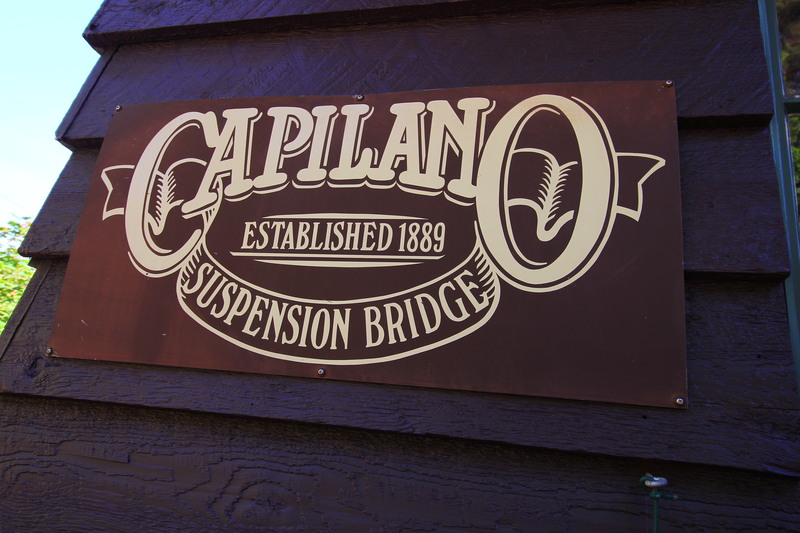 After tackling Grouse Mountain, we headed to the Capilano Suspension Bridge. 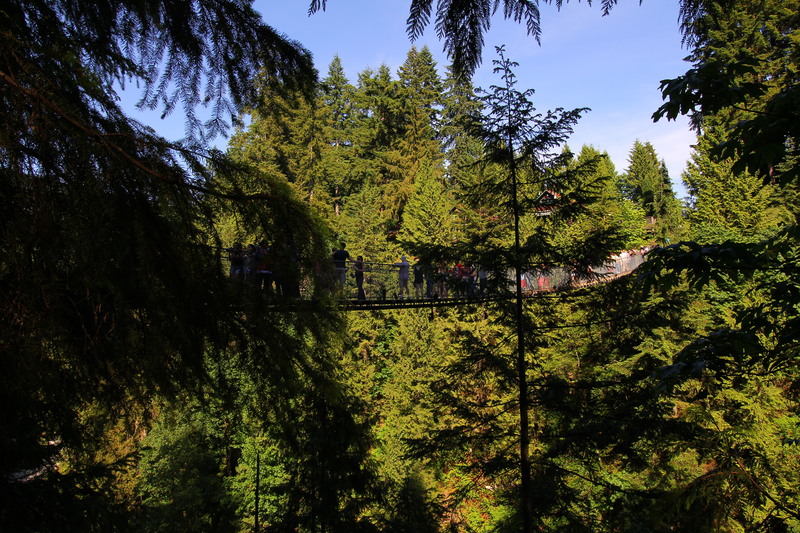 Constructed in 1889, the suspension bridge is certainly at the heart of the park, swaying 230 feet above the Capilano River, but it’s not nearly the only thing to experience during a visit. 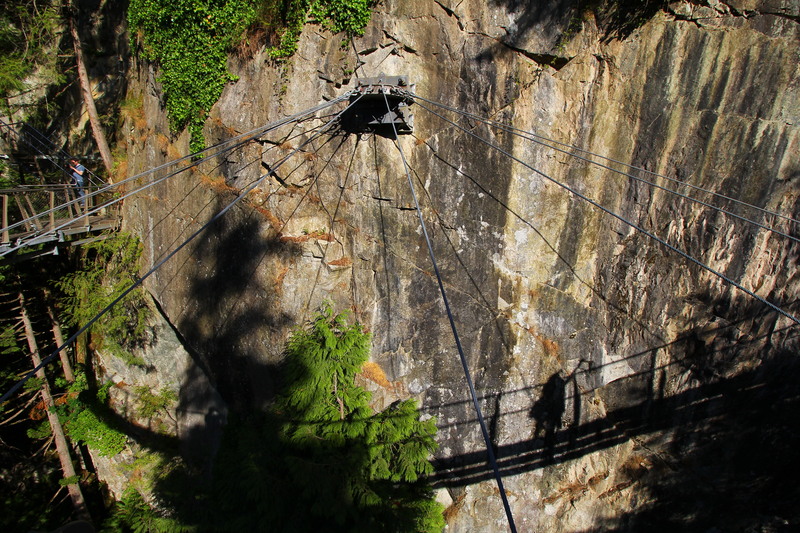 Having overcome my nerves dangling from the ski lifts during our ride to Grouse Mountain’s peak, I was confident in my ability to cross the 450-foot bridge without making a fool of myself. I am happy to report that my crossing was a success! There were tons of people walking back and forth across the bridge, and the more people, the more it swayed. One of the attendants had to come over the loud-speaker at one point to remind everyone not to run, jump or purposefully swing the bridge. C’mon people! 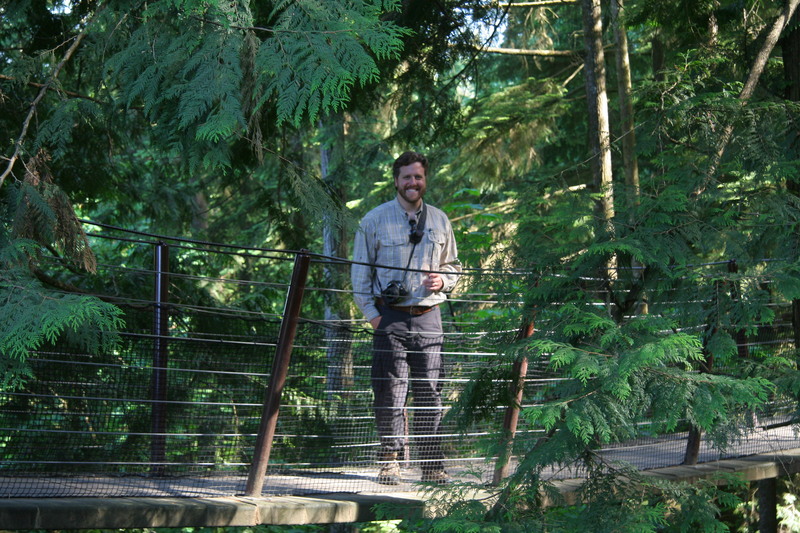 I definitely employed a weird wide-legged stance and waddled my way along, tightly grasping the shoulder high wire railing and occasionally looking out at the rain forest surrounding the bridge on either side and the winding river below. 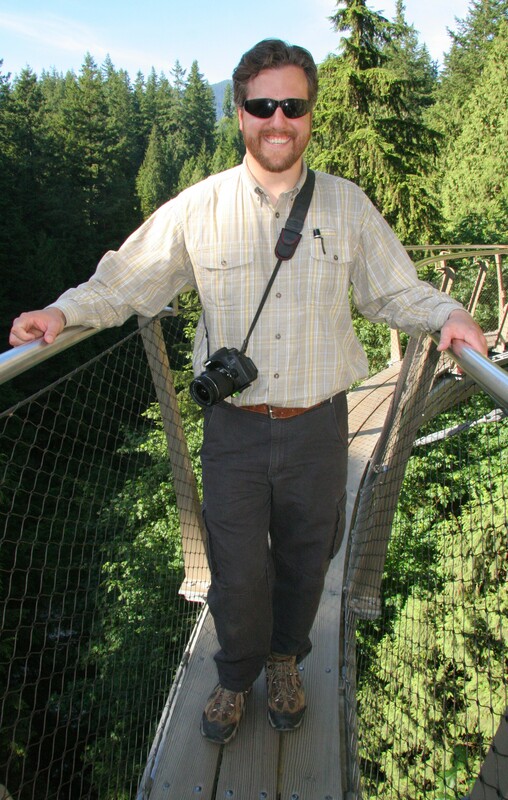 I’m so glad I did– I happened to spot a bald eagle soaring right underneath our feet! I managed to catch my husband’s attention so he could see it just before it flew into the trees and out of sight! Once we crossed there were several things to explore. 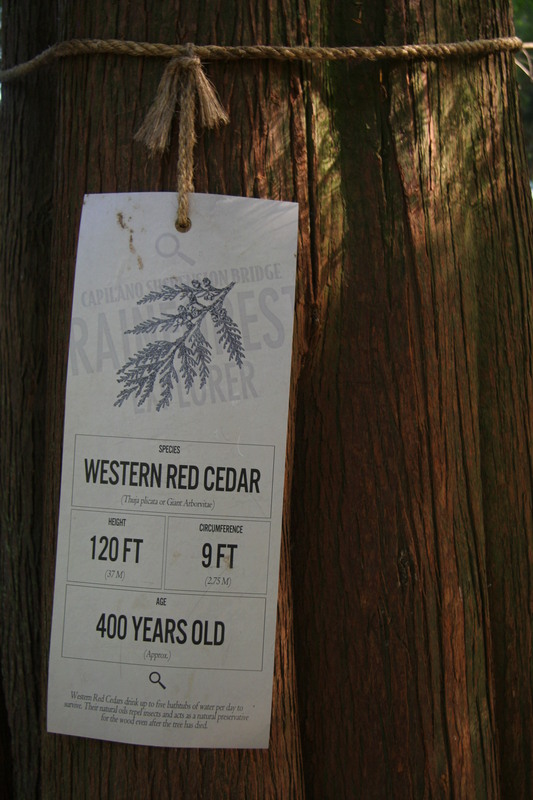 First we walked the trails along the gorge and stopped to read some of the bridge’s history. 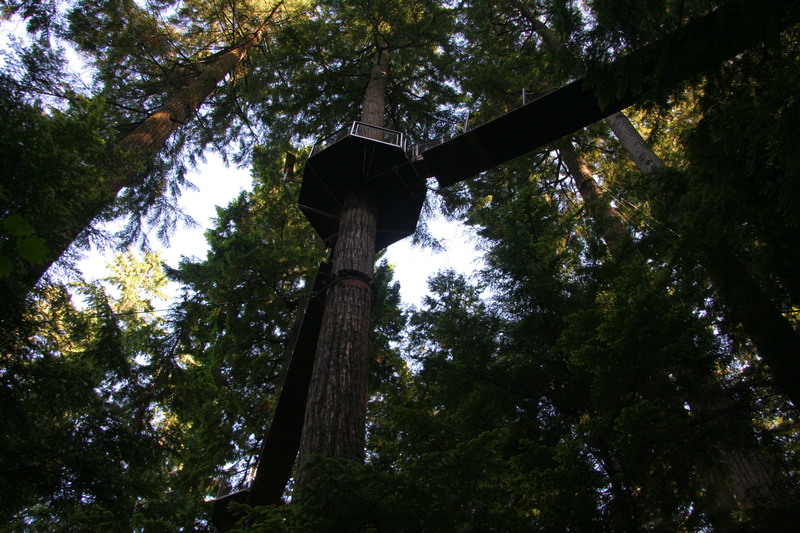 It has attracted celebrities and nobility from all over the world, and despite having trees fall on it, etc., it is still in place and hasn’t suffered any real damage. Next we stopped to see some of the birds in their sanctuary. 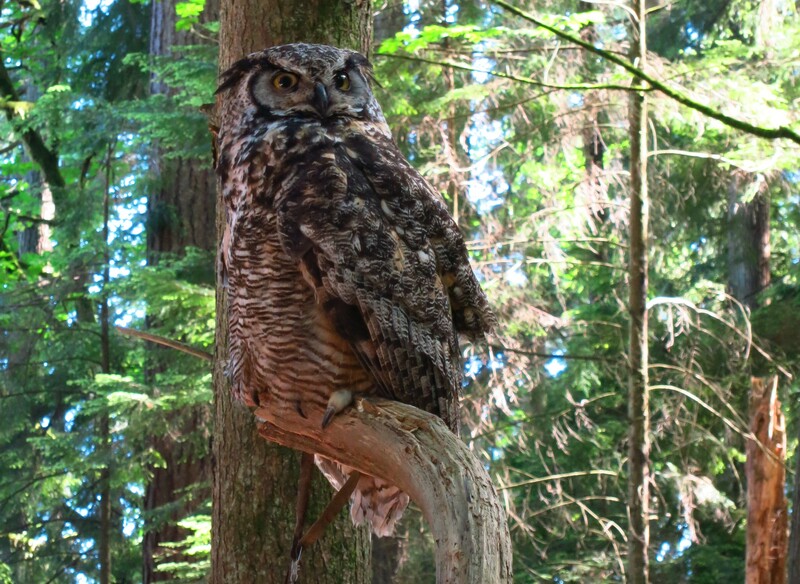 My favorite was the giant owl, who was fairly talkative and kept turning his head nearly all the way around. 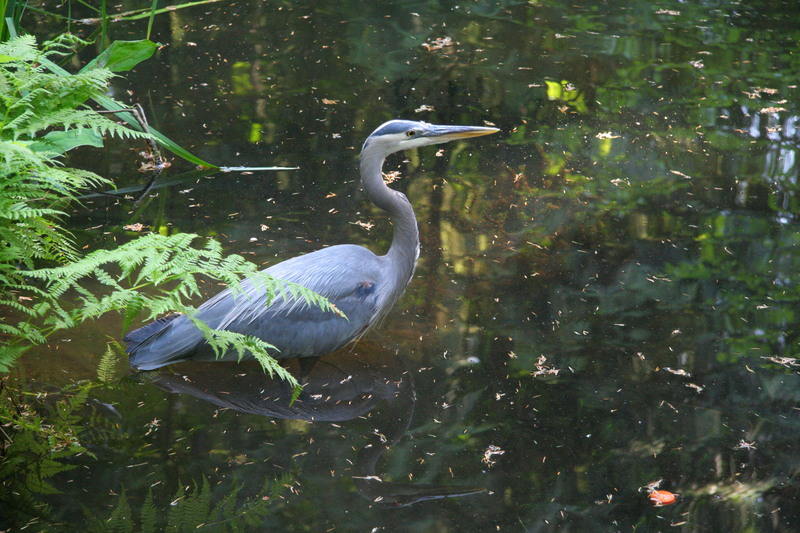 He was one of several birds we saw, both in the wild and in captivity. 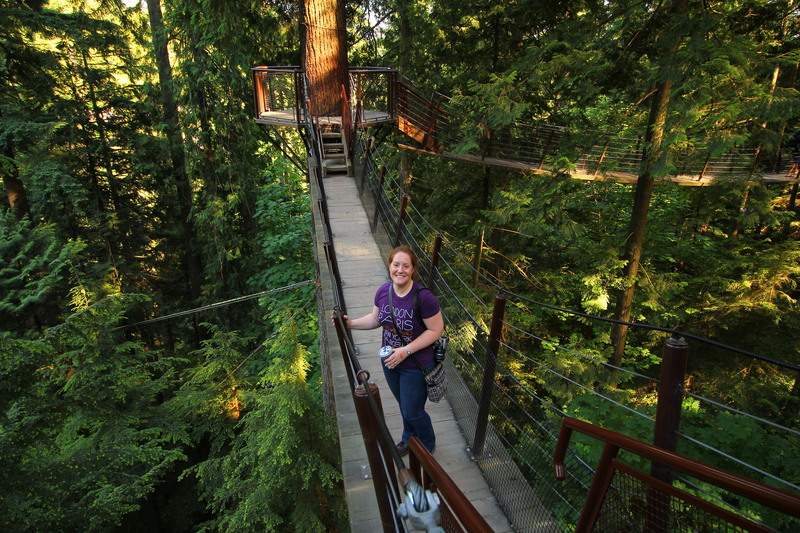 We also climbed up into the Douglas Firs to the Treetops Adventure, which are small suspension bridges and viewing platforms way up in the trees. 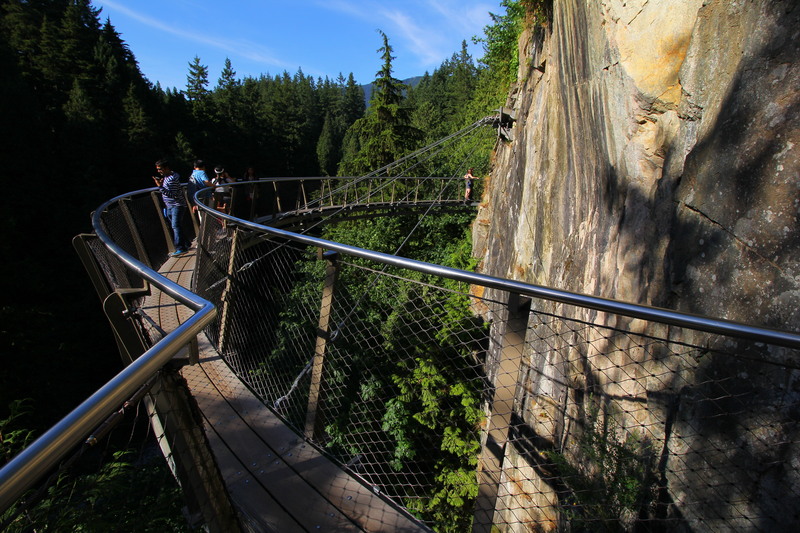 After taking our time on the far side of the bridge, we crossed back over the bridge to check out the Cliffwalk. 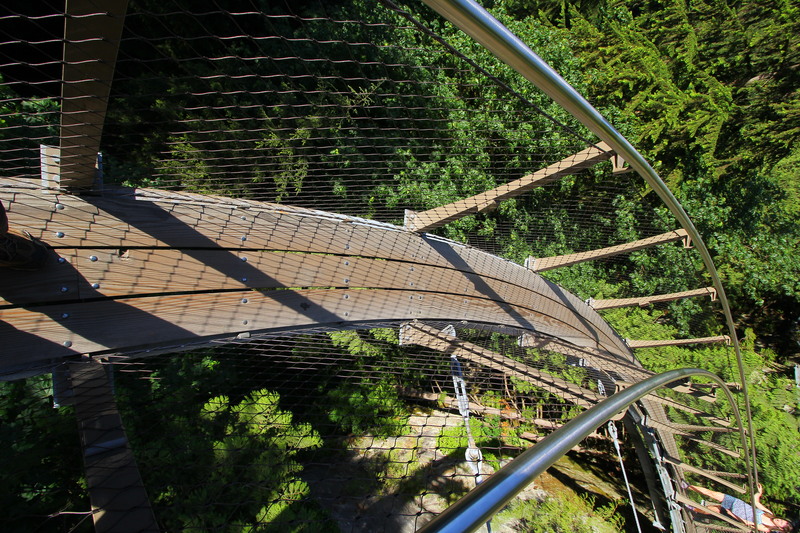 Even my husband commented that he experienced a touch of vertigo looking straight down through the open metal grates that served as flooring out on the Cliffwalk! The tiny trail is barely wide enough for people to pass one another, but the views are absolutely beautiful! 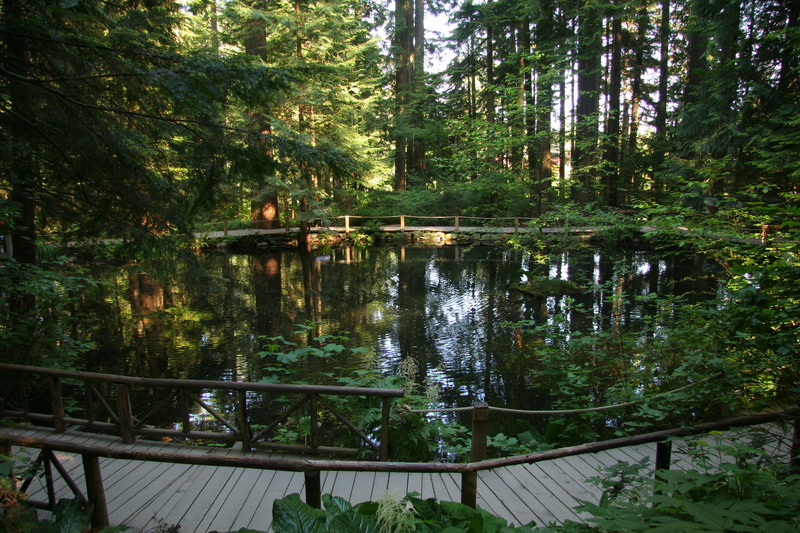 Once we were back on solid ground, we wandered along the trails back toward the bridge, which had nice exhibits along the way that spoke to natural resources, especially water. There were quite a few people there, but the crowds seemed to diminish by the time we were ready to head into Vancouver for dinner. It was a beautiful stop, and I do recommend it if you have several hours to explore everything in the park. The bridge was really interesting and fun to traverse, but I think having time to enjoy the entire park makes the stop (and the price) more worthwhile. You two are the coolest!!!!! Pictures are FABULOUS!!!!! !